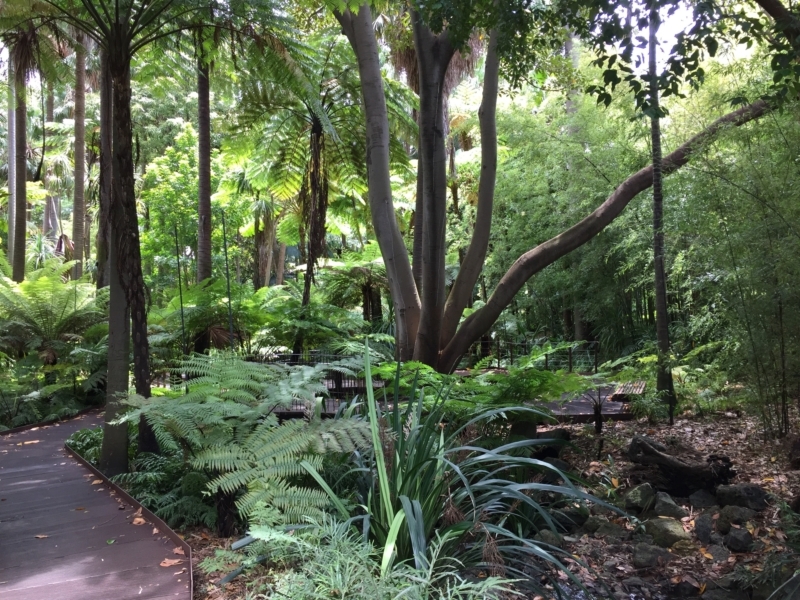 With an amazing array of things to see and an incredible 8,500 plant species, this is probably Melbourne's best park. 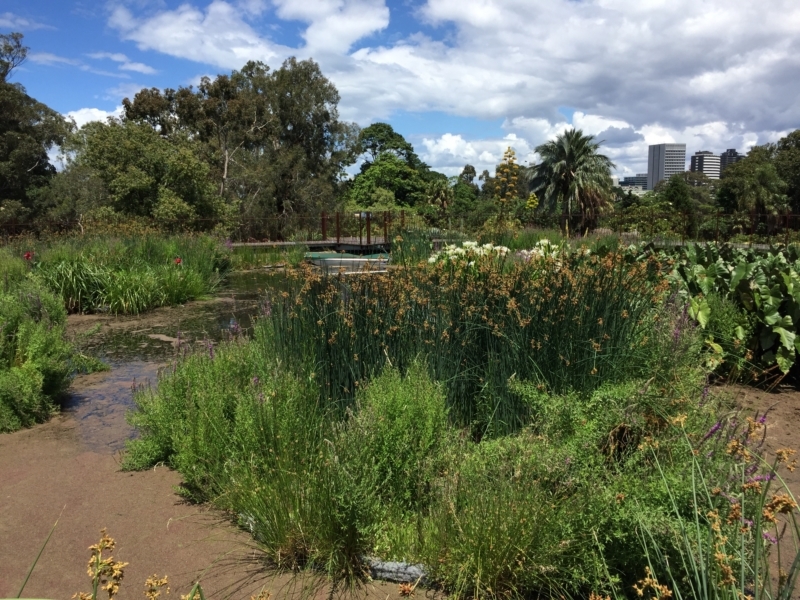 This walk shows you the many highlights of the Royal Botanic Gardens Melbourne. 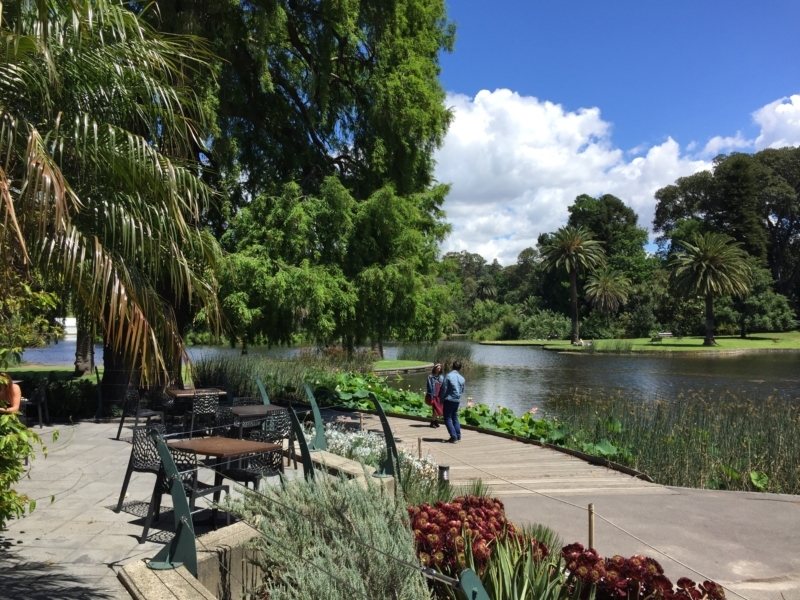 Melbourne’s Botanic Gardens were established in 1846 by Lieutenant Governor Charles La Trobe. They feature a range of ornamental ponds and lakes and a series of gardens and plant collections based on particular ecosystems and areas of the World. The scenic panoramas and sweeping lawns that are characteristic of the Gardens today are a reflection of the work of William Guilfoyle, who was in charge from 1873 to 1909. In addition to the incredible diversity of plants, the variety of mini ecosystems within the Gardens means there is also a surprising array of wildlife to see, especially wetland birds. The great range of sights and sounds also makes this a superb habitat for human children! 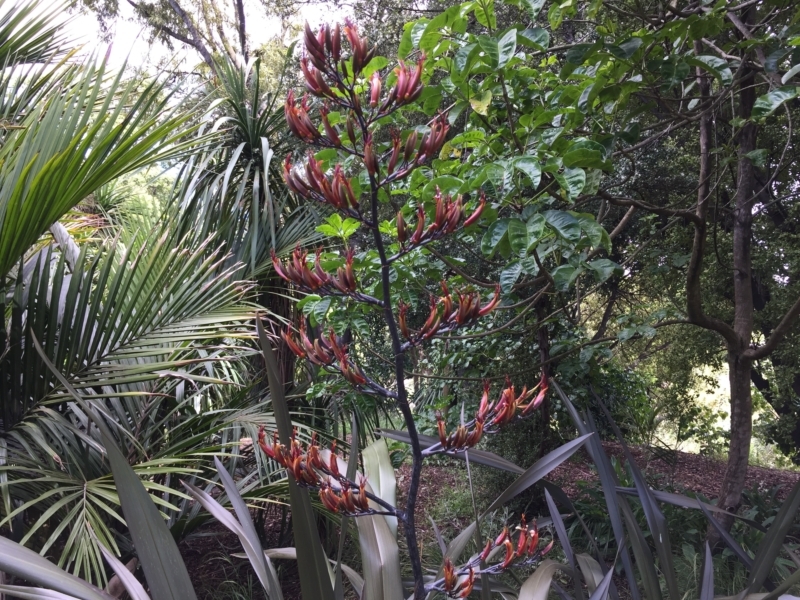 There are a wide array of facilities within the Gardens including two cafes and a number of drinking water fountains, toilet blocks and rest shelters. Tours are usually available from the visitor centre including the Aboriginal Heritage Walk. 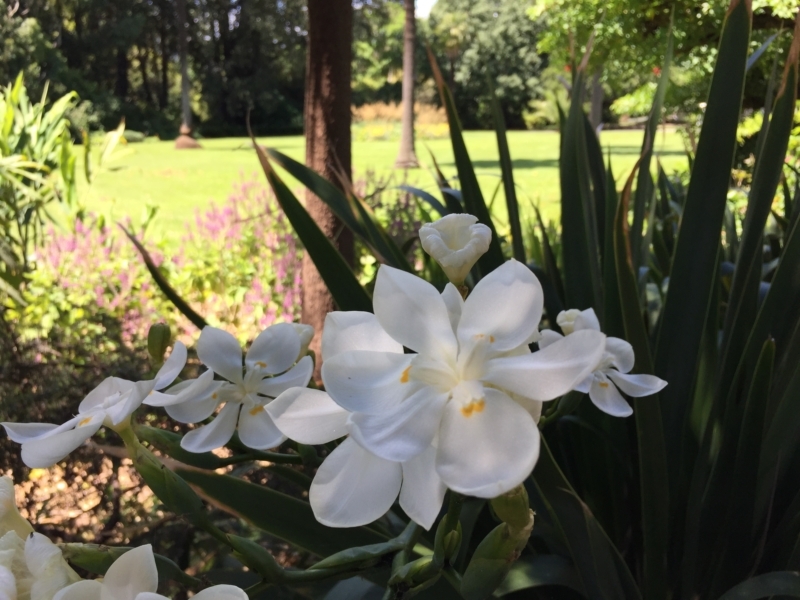 Typically there are a variety of seasonal events on in the Gardens so it is worth checking out the website link to see what's on. This particular walking route begins and ends at the visitor centre, although you could actually start at any of the gates around the park. 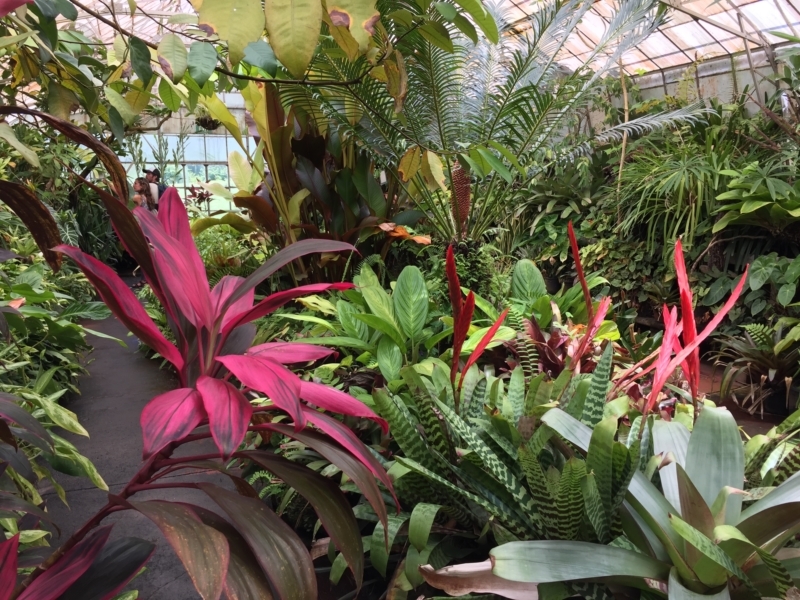 It doesn't take you through all of the various plant collections within the Gardens. 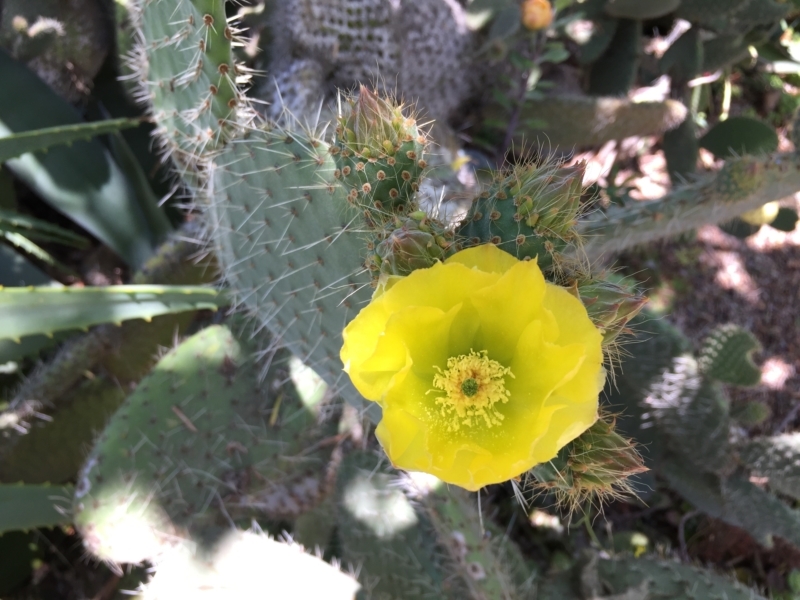 If you are interested in plants, do your own exploring - you will be rewarded! - This walk is generally easy and the paths in the park are very good, but they sometimes involve steps and hills. This particular walk takes you off the paths on to grass areas in some points, but there are alternative options to walk on paths in those places. - Dogs are permitted on a leash (you must pick up after your dog). The visitor centre is not big, but this is where you can book tours of the Gardens. 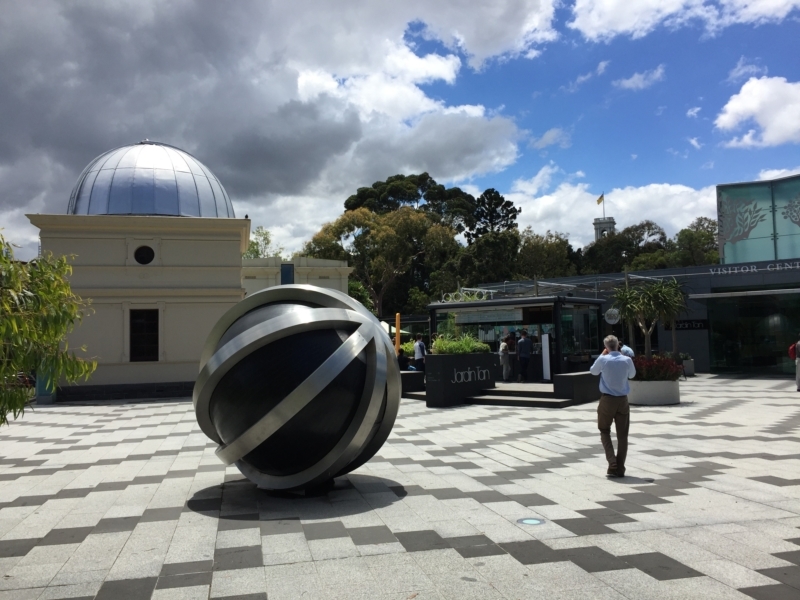 You'll also find the observatory, gift shop, cafe and nice public toilets here. 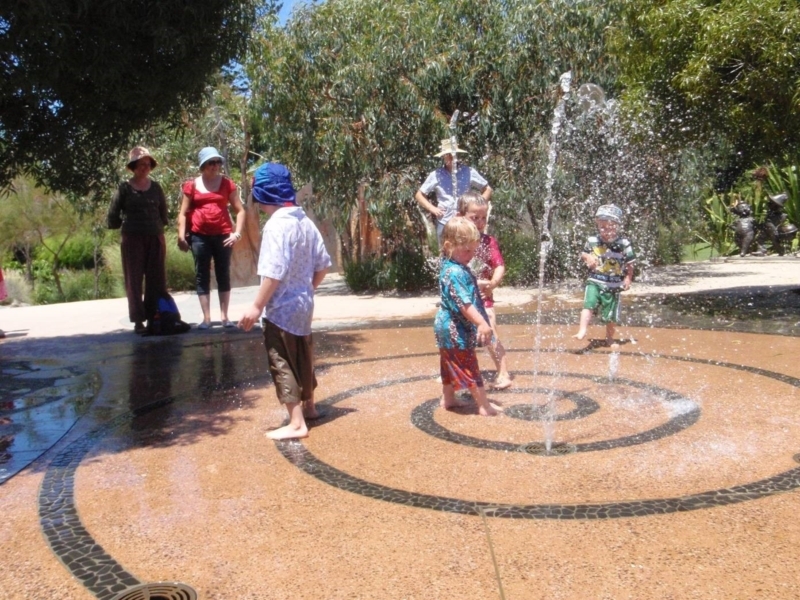 A great place for kids to explore and have fun, from toddlers through to pre-teens. The Children's Garden is fully secure but feels like a wild and mysterious adventure for young ones. The modest pagoda of the 'Temple of the Winds' provides views over the Yarra River to the Melbourne Park precinct and MCG. It is set in the Grey Garden - an array of... grey plants! Hidden away amongst the trees, a number of groups make, display and sell plant craft works here. 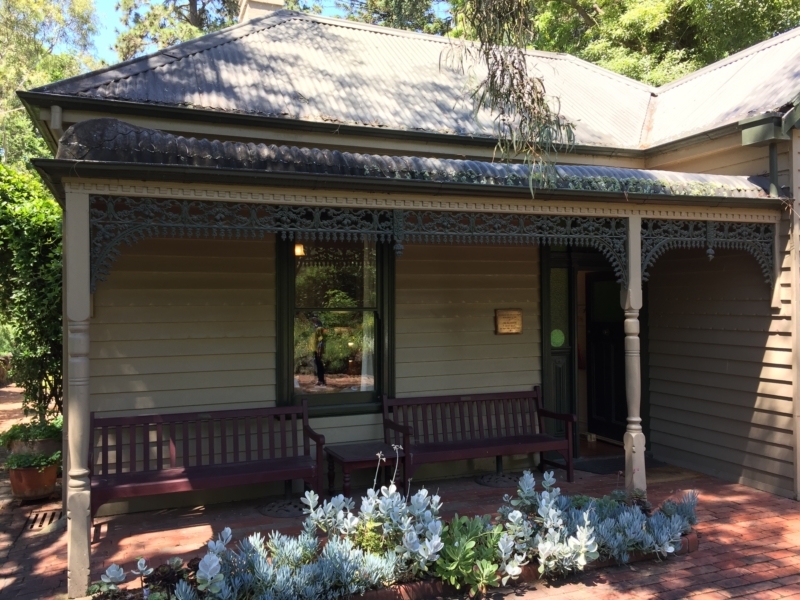 Built in 1851, this is the oldest building in a public garden in Victoria. Relax by the side of the Lake - you'll usually have a few ducks and other birds for company. You can even take a ride on the water (for a fee). If you didn't bring a picnic, you might want to stop here for lunch to take in the views of the lake. Not a bad place for a drink either! Wander up the hill from the lake along the meandering path through the beautiful cool, shady forest of Fern Gully. 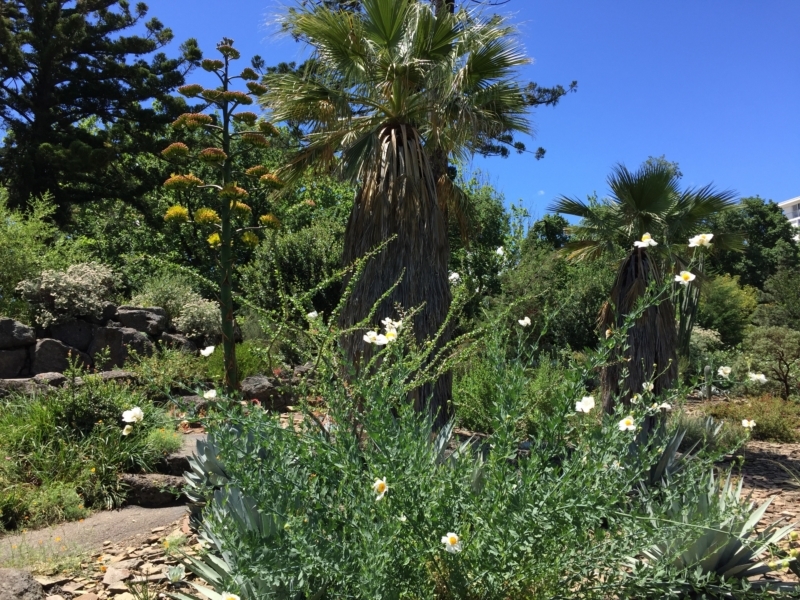 Developed with funds from Dame Elizabeth Murdoch in the early 1990s, the California Gardens display plants from a state with a similar range of ecosystems to Victoria. Built in 1876 for water storage, now an amazing juxtaposition of wetland on the inside, desert garden outside. Not sure where the 'volcano' comes in, but it certainly has an other-world quality to it. Crazy cacti and other desert plants. 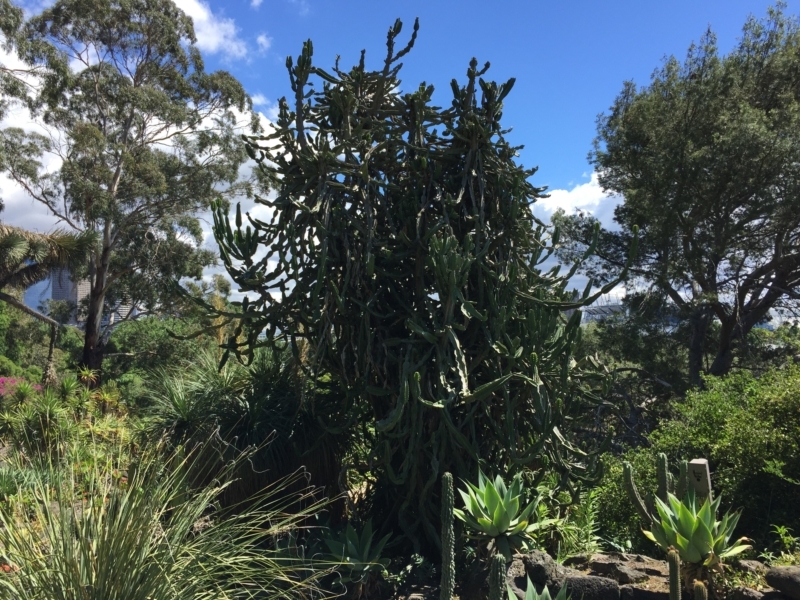 The Garden's collection is about 60 years old, with 1,100 plants and 100 rare species (not all on display in this garden). 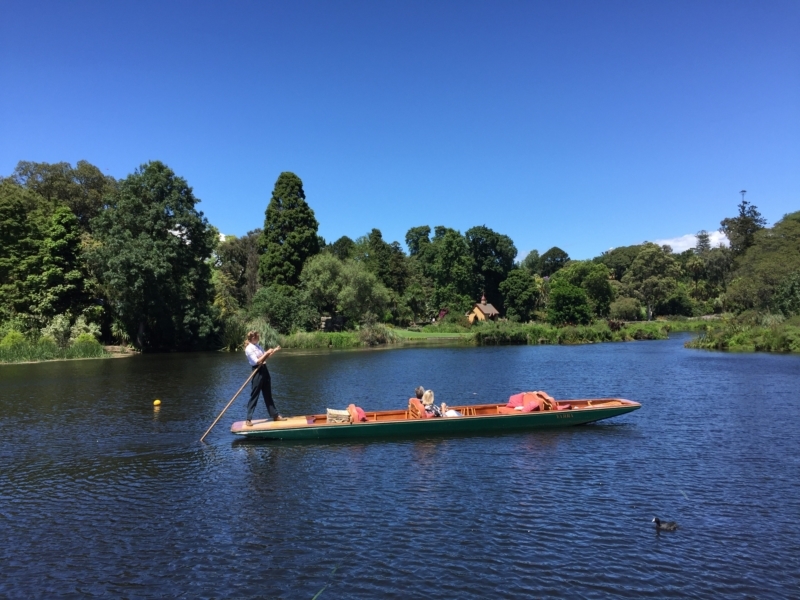 Cut through the soothing, muted tones of the NZ Collection, started in 1906, on your way around Nymphaea Lily Lake. Hot! A good place to warm up on a winter walk - also the best time of year to view the plants apparently, although there was plenty of colour on display when we visited in the summer. 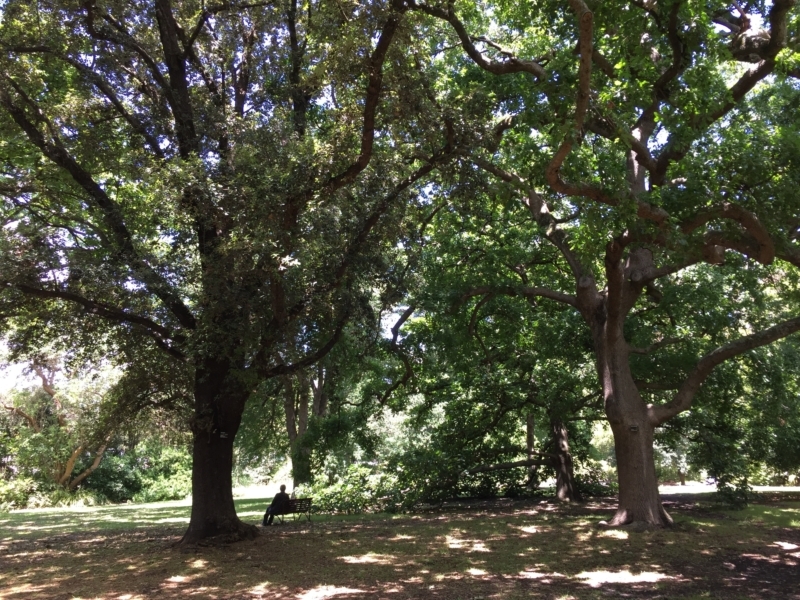 Especially beautiful if it is warm, wander beneath the oak trees - some 150 years old. And if you are visiting the Gardens in the autumn, don't miss the explosion of colour. Wherever you go in the Gardens look out for beautiful flowers and unusual plants and trees. As the old saying goes "don't forget to stop and smell the roses."